On & True: superbowl sunday, or super-nachos sunday? superbowl sunday, or super-nachos sunday? 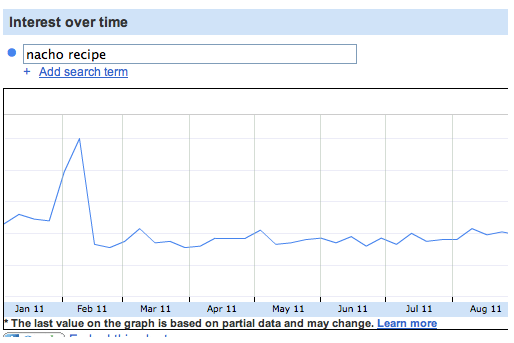 People searching for "nacho recipe" over time. That crag on the left is superbowl sunday 2011. a similar spike is likely happening right now, as we all panically wonder: "wait do i put the cheese on before or after the chips"